Metacara’s uniques sound is birthed from organic sounds in their studio fueled by real life interactions. Their newest album, Car Talks, is being released on October 17th. Metacara’s music is mostly electronica with a soul twist. 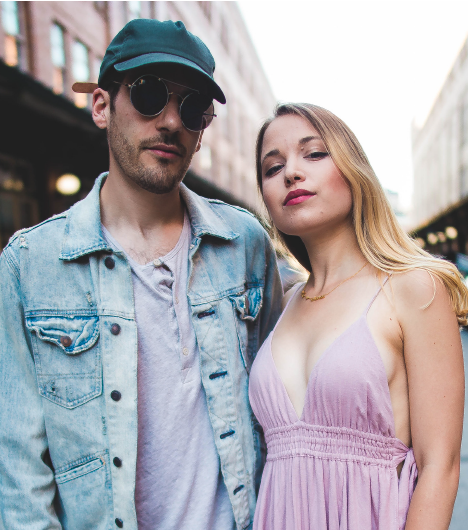 The duo consists of producer Vin Nania and vocals Kyla Rae. When asked about the Car Talks title they talked about how the lyrics talk about those long talks you have in the car with someone you care about and how they can change your life. Kyla also discussed how the lyrics and music signify how she is now and knows who she is as opposed to their first album was that of discovery. The music consists of not your average instruments. They got sound from the normal computer programs and a small drum kit, but then branched into sounds like crumpling paper. For the album artwork they partnered with local Pittsburgh artist Anton Bachman. Upcoming for the album is a release of USB drives instead of cd that will have extra content you can only get with the purchase of the drive. The drive will contain more songs, some additional artwork and a short film about Metacara and the album. 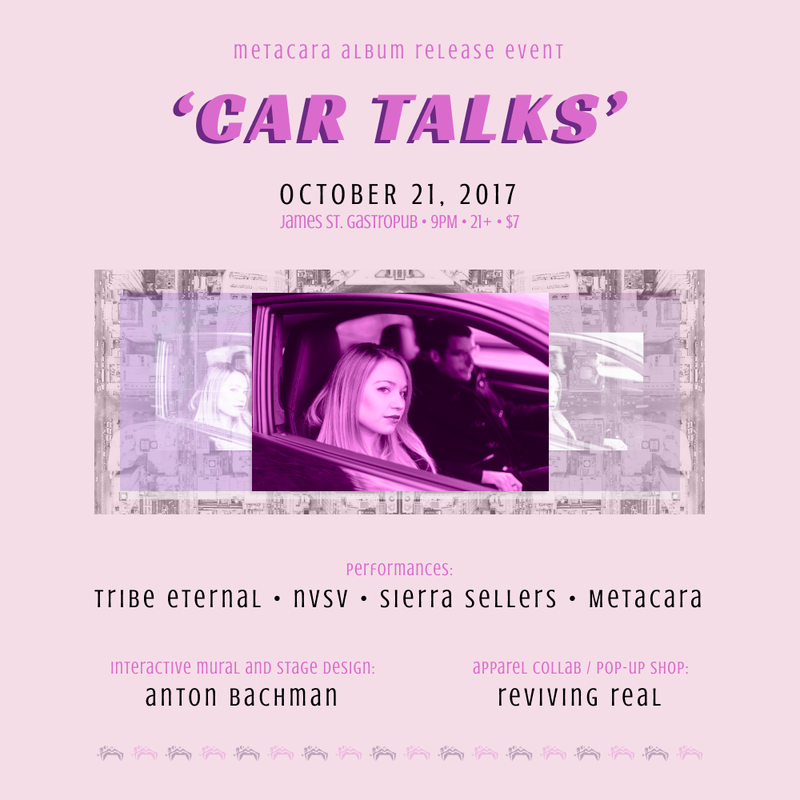 There upcoming release show on October 21st at James Street Gastropub where they will celebrate the release of Car Talk with other great musical acts like NSVS, Sierra Sellers and Tribe Eternal. Show is 21+ and starts at 7PM. For more information on Metacara explore metacara.com or on Facebook, Twitter and Instagram.